Texas Rangers relief pitcher Neal Cotts needed only a few minutes and six pitches to get three consecutive outs May 21 against the top of the Oakland A’s order. It was a nice one-inning outing for Cotts. What made it remarkable was that he was appearing in his first major league game in four years. Cotts, who starred at Illinois State from 1999 to 2001, made his Arsenio Hall-like return against the same team that had drafted him and eight seasons after he helped the Chicago White Sox win their first World Series in 88 years. Elbow and hip injuries had kept him out of the big leagues since May 2009. Since then Cotts has been making hitters nervous. He has surrendered only six earned runs all season, and as of September 10, he had the lowest ERA (1.15) on his team and the fourth lowest ERA among American League relievers with at least 20 innings pitched. His five wins were tied for seventh highest among American League relievers. His former Redbird head coach, Jeff Stewart, now a San Diego Padres scout, said a scout told him recently that he thought Cotts was the best left-handed reliever in the major leagues. Stewart thinks Cotts is pitching better than he did early in his career when he earned a compliment from one of that era’s top hitters. Those who know Cotts well aren’t surprised by his comeback, which has garnered widespread media attention. Cotts’ return to the major leagues was as unlikely as his arrival. He didn’t think he had a shot at the pros until his junior year at Illinois State. He had been lightly recruited out of high school, and only got a look from the Redbirds because his high school coach knew then-Redbird pitching coach Tim Johnson. But by his sophomore year Cotts had become the top pitcher on a staff that featured three other major league prospects, Stewart said. “We knew what we had in Neal,” Stewart said. Cotts was athletic and pitched with good deception, movement, and velocity. But the intangibles were what set him apart. Stewart said the only other player whom he had coached that could match Cotts’ competiveness was Jeff Brantley, a former Mississippi State star who pitched for 14 seasons in the major leagues. 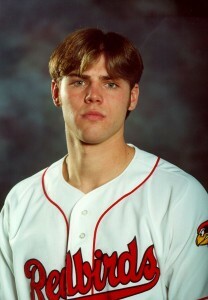 Cotts’ best season at Illinois State was in 2001. He led the Redbirds to a 31-22 record, had a 2.89 ERA, and struck out 113 batters (second highest in school history). That performance persuaded the A’s to draft him in the second round. Cotts was eventually traded to the White Sox, who brought him up to the majors in 2003 and switched him from a starting pitcher to a reliever. He had a magical 2005 season, helping the White Sox to the championship by not giving up a run in the postseason and winning Game 2 of the World Series. After the season, he was named the Setup Man of the Year. Cotts struggled in 2006 and was traded to the Chicago Cubs the following year. 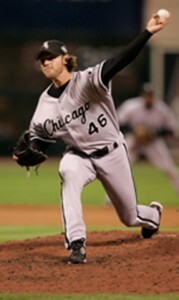 He bounced between the Cubs’ major league and minor league clubs for three seasons before he hurt his elbow in 2009. Tommy John surgery was followed by hip surgeries and a related infection. He was subsequently signed and released by the Pittsburgh Pirates and the New York Yankees. 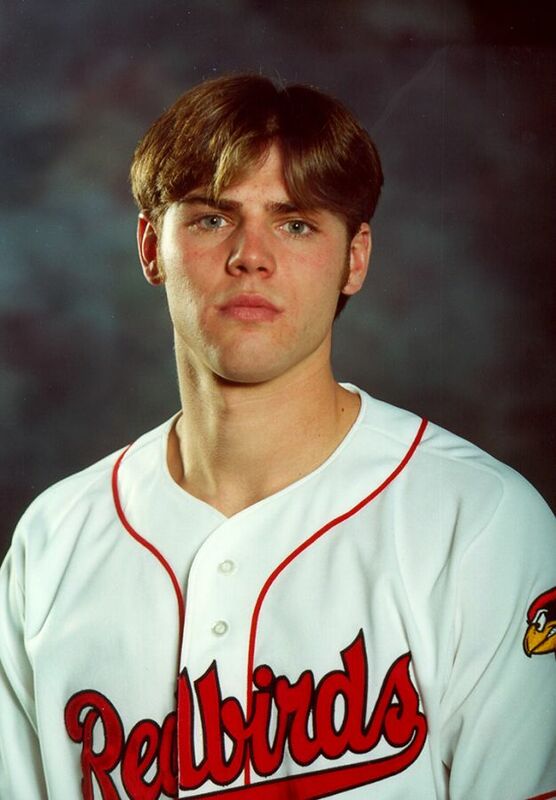 Neal Cotts was named to the Missouri Valley Conference All-Centennial Team for his exploits as a Redbird. He remains loyal to his alma mater, to which he donated a signing bonus to help fund improvements at the University’s baseball field. He is also close with former Redbird teammates, 10 of whom he hung out with when the Rangers visited the White Sox in August. The Yankees cut him abruptly, in 2011, after a doctor reviewed his medical record. Cotts took advantage of the time off by spending time with his two young children and his wife, who live in Chicago, and by working toward a finance degree at Illinois State. Cotts had been a good student during his collegiate career and was twice named to the Missouri Valley Conference’s Scholar-Athlete first team. Bergman had urged Cotts to go back to school to prepare for life after baseball. Stewart had introduced the pair when Cotts was drafted so he could get advice on money matters from Bergman, a financial advisor, and the two have become good friends. “Illinois State couldn’t have a better ambassador for the University than Neal Cotts because he is a very humble young man who has a heart of fire,” Bergman said. Cotts held out hope for a major league return even though his agent told him he couldn’t find him a team. But then last year the Rangers invited him to spring training. Cotts said the fact his agent represented the Rangers’ top prospect at the time, Jurickson Profar, may have helped him get a look from the team. Cotts almost made the major league team but got injured on the last day of spring training. He recovered and ended up pitching for the Rangers’ top minor league team last season. He returned healthy this year and had a microscopic 0.78 ERA in the minors when the Rangers called him up in May. The Rangers are currently battling the A’s for the American League West Division title. Cotts will be counted on for this season and, possibly, for many more seasons to come. Sources: Statistics in the story were provided by Baseball-Reference.com, Espn.com, and Illinois State University Athletics. Great story...I saw Neal get the win in St. Louis on June 21st and saw him pitch against the Sox in August! What an inspirational story...Comeback Payer of the Year!! !